In June Taylor Woodrow presented at the Women in Construction Breakfast Seminar, a cross-industry event to discuss how to help women in the construction industry progress to senior roles. The event included speakers from Taylor Woodrow, Morgan Sindall, Kier and Construction News as well as a panel discussion about issues affecting the recruitment and retention of women in construction. Rather than the traditional conference centre, the event was held on the Thames on the Stad Amsterdam, a three-mast clipper that was built in Amsterdam. After a slightly choppy tender out to the ship, and a stroll around the deck Julian Gatward (Managing Director) and Lizzie Featherstone (Head of Business Information Tools) presented the importance of gender balanced teams in Taylor Woodrow and how the business is attempting to improve inclusivity across the board. Julian spoke about his thoughts on why we need to make construction more inclusive across all areas, highlighting the ever-growing skills gap as a key driver. He talked about making construction contracts less transactional and aggressive, and embedding a more enterprise approach (like Project 13). 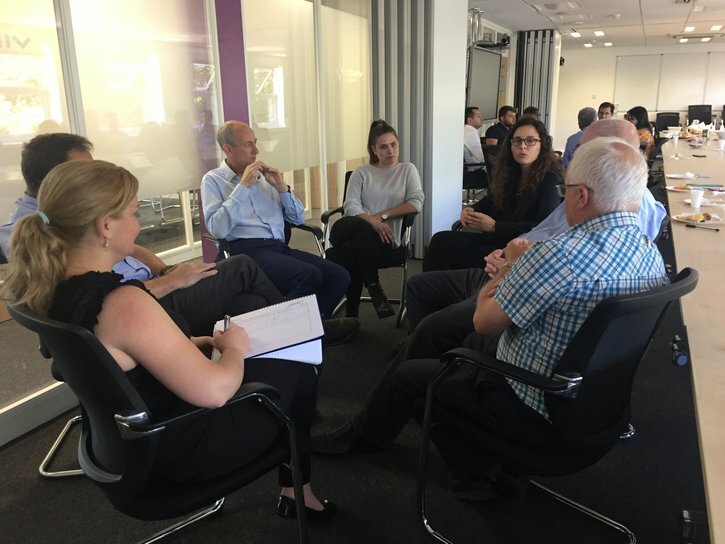 Lizzie chairs Women in Taylor Woodrow (WiTW) and spoke about what they have be doing internally to try address the gender balance – highlighting the importance of having a structure and a plan and getting senior management buy in and support. She also talked about some of the groups achievements from getting female PPE as standard, through to providing business wide training sessions for all genders. This event was attended during June, the same month as International Women in Engineering Day (INWED). A session was run on all projects and at head office for INWED, which involved an update of WiTW’s activities and progress, a game to help break stereotypes, and then into a discussion focused around three questions that looked at how we as an industry and a business can retain more women. The session was very well received and facilitated many interesting discussions.